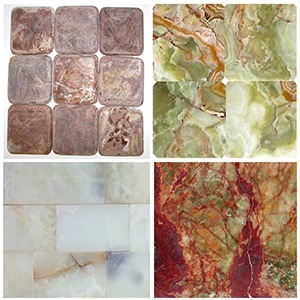 Flooring Tiles & Mosaics for bathroom and kitchen with free shipping. 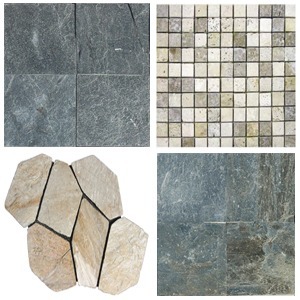 Flooring Tiles & Mosaics tiles aren't just for creating a basic surface to walk on. Unlike the generic and sanitized flooring one sees in a government building, flooring tiles can be some of the most creative and easy to install ways to change the look of a room interior. 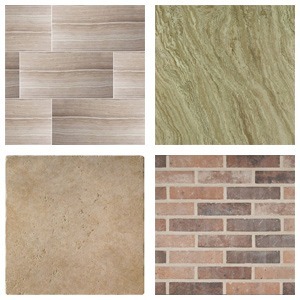 From real stone to ceramic choices, floor tiling can create some really amazing looks for homes and offices. Even better, because of the sectional nature of tiling, custom choices are far more abundant than what one would get with carpet flooring or similar. Some of the more interesting choices are in the categories of travertine tiles, granite tiles, marble tiles, and onyx tiles. These choices explode with color as well as texture, making a room both interesting in appearance as well as walking into it as well. 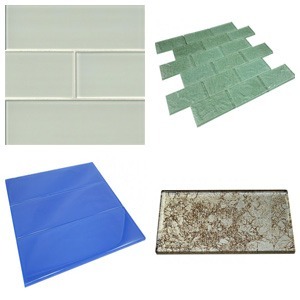 And, because of its durable nature, tiling is extremely easy to clean and maintain compared to other flooring choices, especially in the situations of spills or stains that would otherwise be a permanent problem. Trouble matching furniture to a room interior? 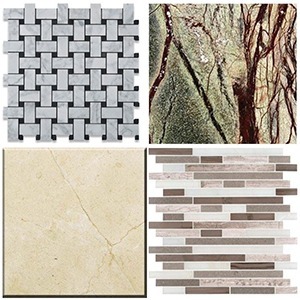 Consider Onyx tiling or Marble tiling. Both come with an assortment of mixed colors that give far more variety than single color choices in basic ceramic tiles. 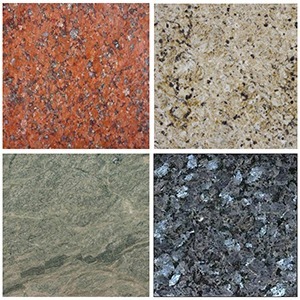 Additionally, the texture of natural stone like granite can give a home a very different impression and feel that is unique and unlike any other place in the neighborhood. Not only is it very durable to be walked on for years, it really makes being a home something enjoyable, like being at a fancy hotel with premium flooring in the main areas. For more about these choices and other flooring options available, email or contact our staff to find out about the flooring selections in stock in your area and what can be ordered. 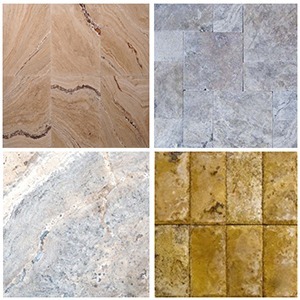 Our Marble Flooring tiles in 12 x 12, 18 x 18 and 24 x 24 ships from 15 different partners warehouse located throughout the nation. Take advantage of fast, free pickup if you live close to one of our partner warehouses. Please call us at 1.888.908.6699 to check availability in your area.